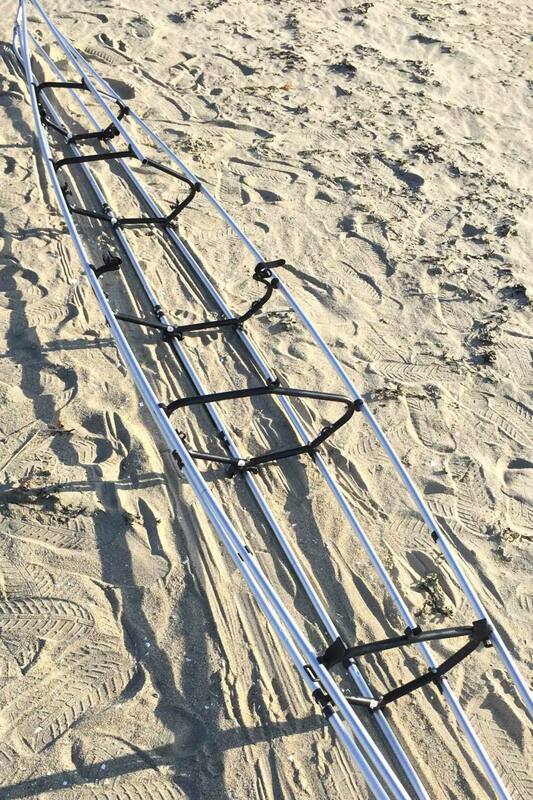 Do you need a folding kayak? The first time I saw a folding kayak was probably at the same time most of the rest of the U.S. saw them: on Shark Tank. The Kickstarter-funded company Oru had created a boat made out of pieces of corrugated plastic that folded up. 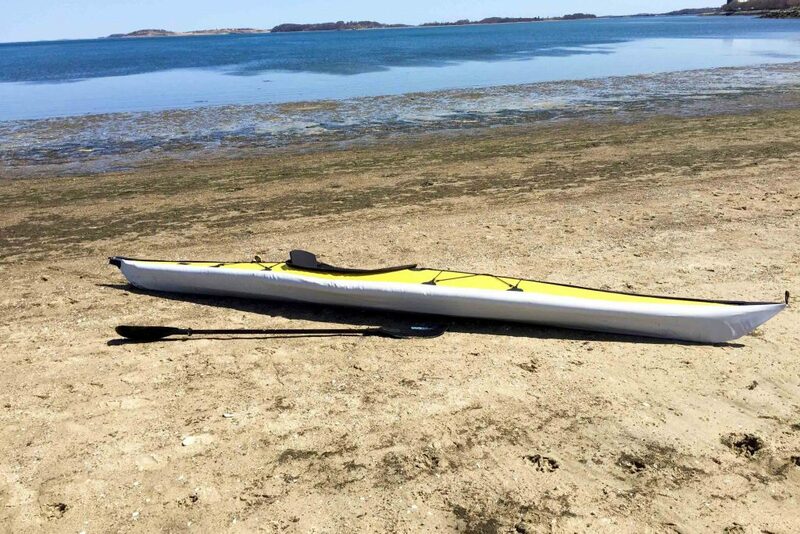 It looked like it would be incredibly easy to set up and would function as well as a typical plastic or other hard-shell kayak. It could even be carried in an over-sized tote bag. Having recently moved from Montana, where I had all the space in the world to store my gear, to a garage-less apartment in Boston, I was intrigued. After reading up on the Oru boat, though, I became less and less sure that I’d be comfortable going out into open water in a boat made out of the same material as a politician’s yard sign. But, my research into Oru opened the door to the world of folding boats. 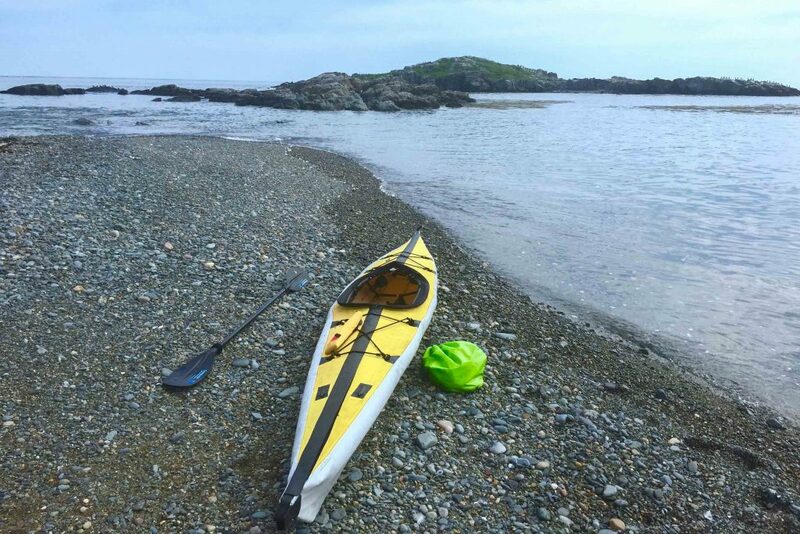 Unlike the ones made by Oru, folding kayaks often comprise a rigid metal or wooden frame covered in a very strong fabric, which allows them to slide through the water just as well as their plastic counterparts. 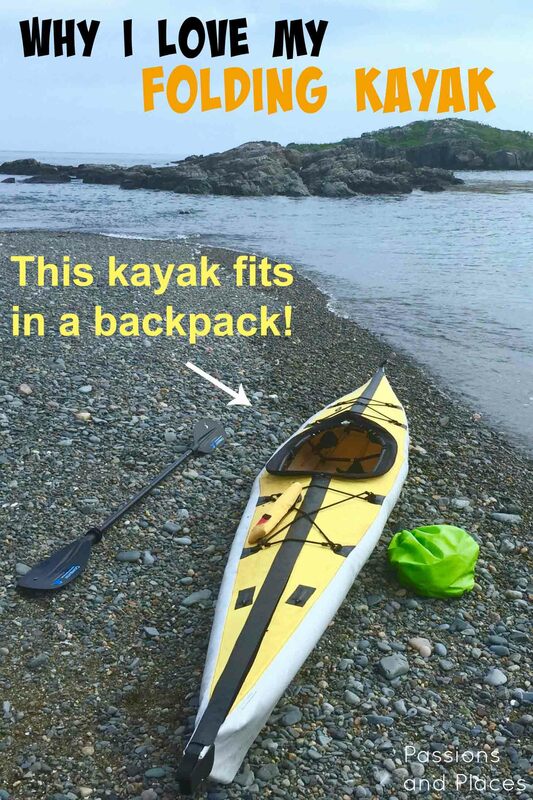 Unfortunately, I also discovered that they cost about $2,000–over twice as much as a typical plastic kayak. Nevertheless, a folding boat seemed like the only way I’d be able to own a kayak in the city, so I started searching eBay. What I found was the Folbot Cooper, a 16.5-foot ocean-ready vessel that could be stuffed into an over-sized backpack. A used one was only $900. The biggest advantage of the folding boat is its storage size. I’m sure I’m not the first person from a small town to wonder where their kayak is going to go once they move to a city. In addition to the boat’s small footprint in your tiny apartment, it’s also highly portable. I’m not a big fan of the wind drag that comes from carrying a 17-foot boat on the roof of my 14-foot car. And, it’s a lot nicer to pull a big backpack out of the trunk than it is to deal with the mess of straps that even the best Yakima or Thule rack necessitates. Plus, I can just keep the boat stored in the trunk, and I’m ready to go paddling whenever the mood strikes. For getting to launch points around the city, you can also easily carry the folding kayak on the bus or subway. They can even be checked as regular luggage on a plane, allowing you to bring your boat to your far-away dream paddling destinations. Finally, for those who want to paddle backcountry waterways, wearing a backpack with a folding kayak is infinitely easier than shouldering or carting a hard-shell boat. Some people, usually those who haven’t tried them, argue that folding boats achieve their portability by sacrificing performance. This is simply not true, and most likely comes from hard-shell users trying out inflatable kayaks and assuming that folding ones are the same. But, inflatables sit high on the water and have a tendency to bounce around in rough seas. Folding boats have neither of these problems. They can actually outperform hard-shells in choppy water, as they better absorb the impact of the waves, allowing the boat to glide right through. In fact, Special Forces units around the world use folding kayaks because their unbeatable performance in hazardous conditions, combined with their portability and silent motion, make them ideal for covert missions. With an experienced paddler, folding boats are just as stable and speedy as their hard-shell counterparts (if not more so). That’s not to say that folding kayaks have no downsides. The Folbot Cooper takes about twenty minutes to set up (which can cause a bit of a spectacle in a populated area). The time and hassle of assembly is probably the major deterrent to most people, particularly those who have the space for a hard-shell boat. But, a hard-shell usually needs to be stored in a garage or basement, and getting it out of storage and fastened to the rack of a car takes some time. The twenty minutes it takes to put together a folding boat is probably on par with the amount of time needed to deal with a hard-shell. One of the other major complaints about folding kayaks is that don’t roll very well. I can’t attest to that because I’ve yet to tip over in one. It’s not that easy to roll any large sea kayak, so I don’t consider this a major disadvantage. While I do use mine in the ocean, I try to stick to the calmer waters of protected harbors. From what I’ve read, though, they can be rolled, and (not too surprisingly), the more expensive models roll more easily. A final word of caution is that you also need to be a bit more careful when approaching rocky shores in a fabric-covered boat. 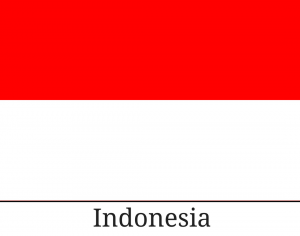 Sharp rocks and coral can damage its tough outer skin. So, you can’t be quite as reckless with a folding boat as you can with a plastic one, but that’s not to say they need to be babied. They’re made out of an incredibly tough fabric, and if you do tear it, it’s a whole lot cheaper than fixing a hole in a hard-shell. Relaxing near Green Island in the Boston Harbor. Take a look around on the Internet, and you’ll see that most people who have tried a folding kayak have few negative things to say about them. Those with the storage space and the money might even own a folding kayak in addition to a hard-shell one. If you’re a city dweller, a folding boat will allow you to keep pursuing your passion for paddling, and even if you’re someone with a bit more storage space, the boat’s portability will open up a whole new set of destinations for you. UPDATE: Folbot suspended their manufacturing in May of 2016 and Feathercraft did so in December 2016. 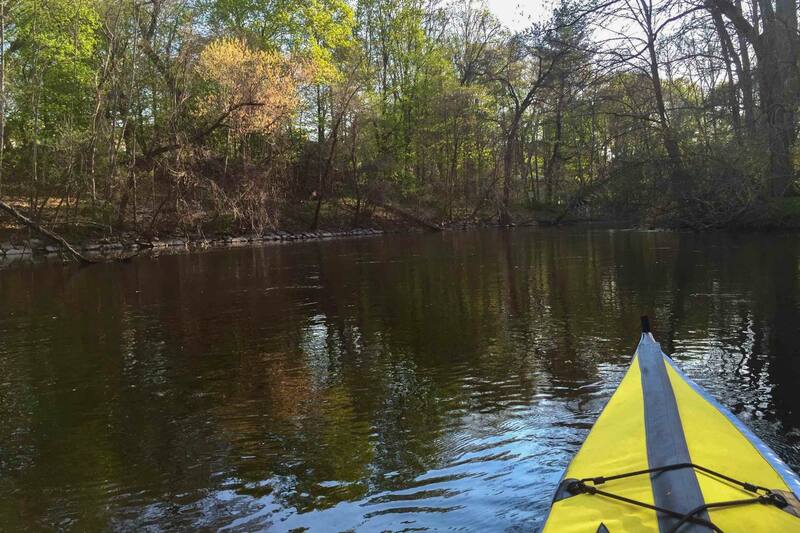 It’s still possible to buy their kayaks used on eBay and Craigslist, but if that doesn’t appeal to you, take a look at Klepper.